I’m reaching the last crescendo week in training for the London Marathon, and I certainly feel like I’m ready for the taper to start now, but not necessarily because of a particularly few hard weeks of training. Rather – because of a particularly busy few weeks of racing! In the past three weekends I’ve raced four times, rather more than I like to, but the timing worked out and they all came together. 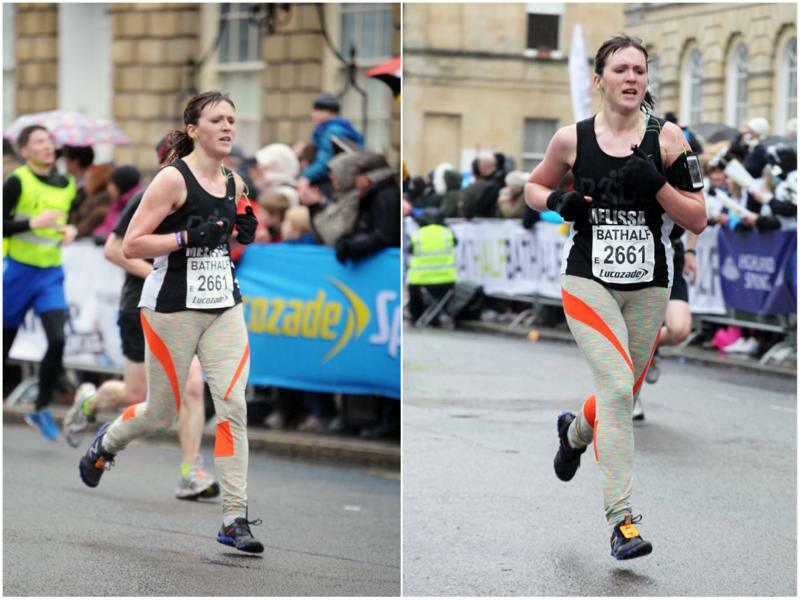 First up was the Bath Half on 2 March, which I’ve already told you about in detail. This was the one I pushed the hardest on – definitely by “A” Race of the four, and one that saw me earn a massive PB in my perfect race conditions. Then the following weekend I had the semi-regular Flatline 10 race on the Saturday. 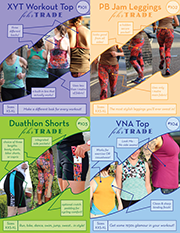 Flatline is an event my trainer puts on and involves 10 repeats of the steepest hill in London – Swain’s Lane, by Highgate Cemetery. Up and down is precisely 1 mile, so by the end you’ve run the toughest 10 miler you could possibly do. 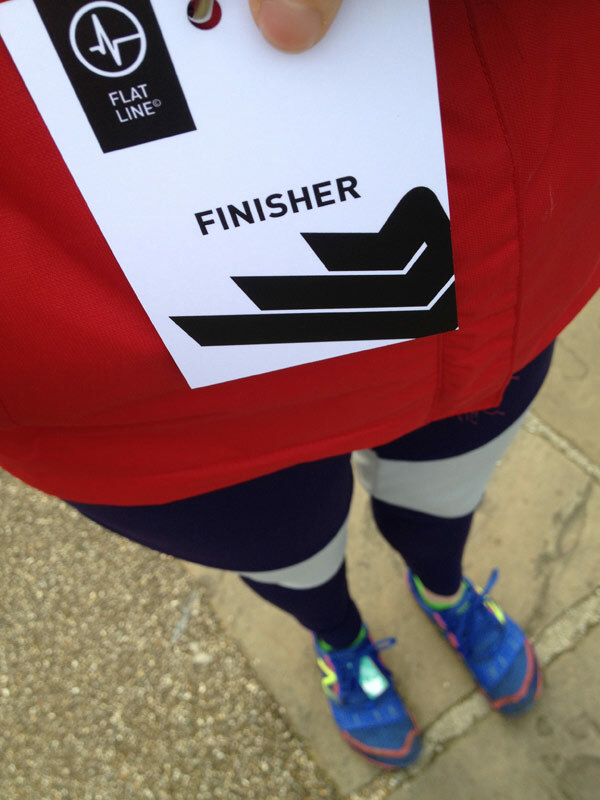 Last month I got a new Flatline PB of 1:24, but this time around I knew I had a 10k the next day so I held some back in reserve and finished in 1:28, which certainly felt respectable. The day after I had the Anthony Nolan Marrowthon in Regents Park – an event I’d signed up for months in advance when I agreed to run London Marathon with the charity. The 10km race was two laps of 5km each, and once Flatline was announced, I decided I’d just “fun run” this and enjoy myself. Happily the weather cooperated and we saw one of the first gloriously sunny, warm days, so I basically just bounded around the course with my headphones on, enjoying the sunshine and thanking all the marshals. 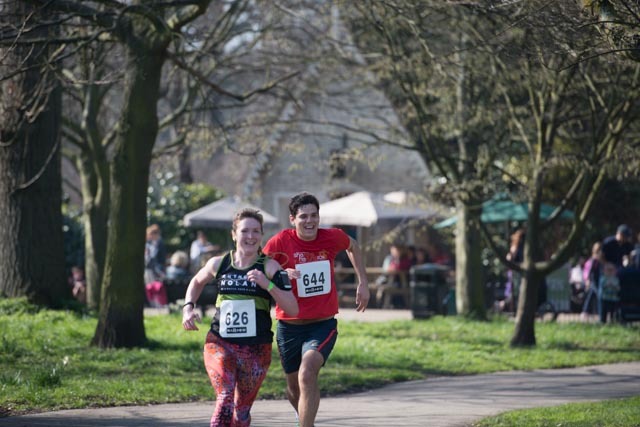 It wasn’t until the second lap that someone told me I was the first lady, but I still didn’t bother to up my effort at all until the last 100m, when the guy behind me started to sprint past. “Oh no you don’t!” I thought, and I matched him so we crossed the finish line together, all smiles. I then looked at my GPS and realised that not only was I the first female, but that I’d somehow run a new 10km PB of 44min-something. Umm, how did I manage that when I was seriously just running comfortably and enjoying myself?! And can I please have some of this on London marathon day? 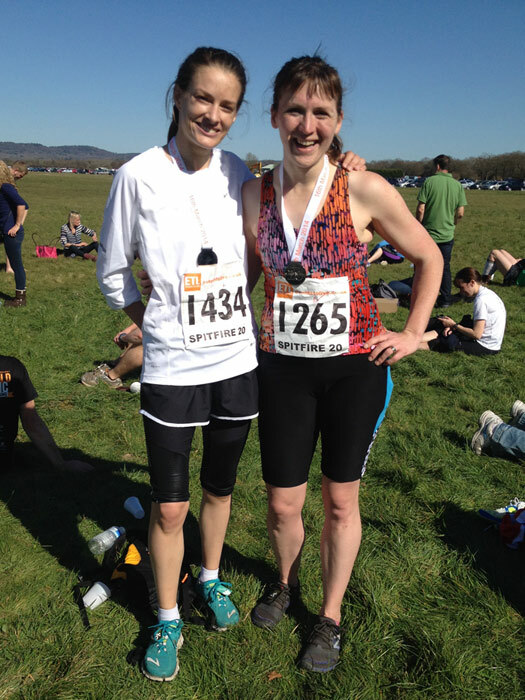 Finally, yesterday was my last race before London – the Surrey Spitfire 20 miler. This race is organised by the same people who do Bacchus, so I knew it’d be a good one! I’d somehow convinced my friend Viv to run it with me, too, even though it meant catching a 7:30 train from Waterloo, and err, running 20 miles. Again, it turned out to be gorgeously warm and sunny, and I had zero time expectation so just vowed to stick with Viv throughout, as she’s a bit slower than me and had also been having ITB troubles. Unfortunately, the latter reared its head after about 40min and we slowed it right down to help her push through the pain, but there was no way I was leaving her! It wasn’t entirely noble – it’s a no-headphones race and I really wanted her company and conversation through the countryside, too. Due to the slower pace, my heart rate barely raised an eyebrow, even on the hills, and I really nailed my nutrition and water, too, meaning I finished feeling really fresh, and having enjoyed my 3:18hr run way more than I probably should’ve! The only downer were the two between-toe blisters I picked up, despite wearing toe socks and copious amounts of Body Glide, so I’ve learned that I won’t be wearing those socks on marathon day! So I’ve reached the end of my month of races, but I feel like my training during the weekdays in between has been a bit listless – the first few days of the week have been spent recovering from the weekend, then the last few days are spent in gearing up for the weekend’s race. I’m a real creature of habit, and it’s probably no surprise that I feel disoriented by having an inconsistent training plan, but I think the challenges I’ve faced over the past month will ultimately make me better prepared for race day. 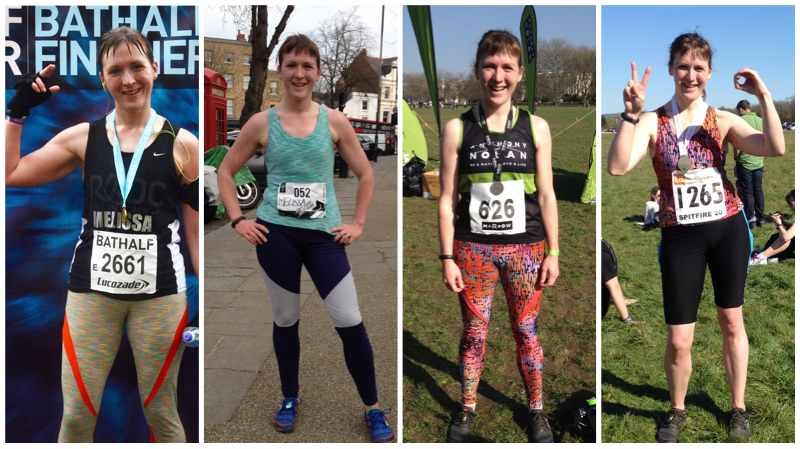 Running four races in three weekends isn’t necessarily something I’d recommend, but I think I’ve come out the other side stronger, partly due to running smartly and not racing them all.